Parcel delivery to Sri Lanka is brisk and basic with Courier Force. We are the greatest online bundle courier association in India, and work adjacent the best names in overall transporting and package courier and give you most markdown postage options for shipping to Sri Lanka, with the goal that you can find the right Service according to the size and nature of the bundle you have to send. You can check costs for, and book particularly through our site, dependable Services, for instance, express courier Services or economy Services which are generally used for package courier to Sri Lanka. Booking procedure is basic and simple, yet in case you oblige any further help; you can call and relate to a team member, or check online how to send a package to Sri Lanka or whatever suitable country far and wide. So get in touch with us now to book a shoddy and safe shipment to Sri Lanka. Prices below are door to door courier rates to Sri Lanka from India. These charges are cheapest in India for sending courier to Sri Lanka from India. This is by a courier company which is the best in industry for parcel services to Sri Lanka. 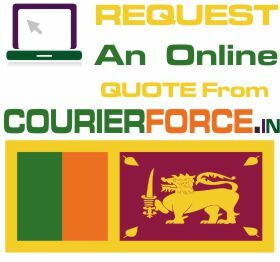 Again, Courier Force is one of the very few companies who have their own network for distributing parcel in Sri Lanka. It will take anywhere between 3 and 6 working days to deliver your parcel to Sri Lanka from India. 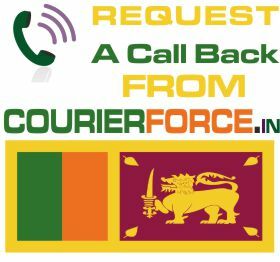 We will be simply collecting the parcel from your business or residence in India and delivering it to your destination address in Sri Lanka. Duties, taxes and customs charges if any (in Sri Lanka) will be additional.